FLEMIO is a startup accelerator based in Slovakia. We link together innovative ideas with emerging affluents. We build professional teams to create state-of-the-art startups. WHO ARE YOU? We believe a startup needs a passionate team, qualified mentors and space for creative thinking to become a global company. But above all it needs someone who can provide funds. FLEMIO focuses on IT startups in the pre-seed stage, preparing them to be ready for investment. We believe these startups deserve the attention of investors. share.vi is a sophisticated easy-to-integrate virtual key sharing platform that makes millions moments in our lives more enjoyable. Share the access to all kinds of assets vely easily. It covers several segments of the market: car sharing, airbnb, offices, hotels, fintech and so on. These virtual keys have two security levels, giving you 100% protection. While seeking out the best device, many people struggle. Findmedevice is an intelligent system that helps people compare and choose the right device. You no longer need your friend to lend a helping hand over the phone. Findmedevice is more than a search engine. It is your around-the-clock online advisor. Don 't let ruin your project with the wrong employees. 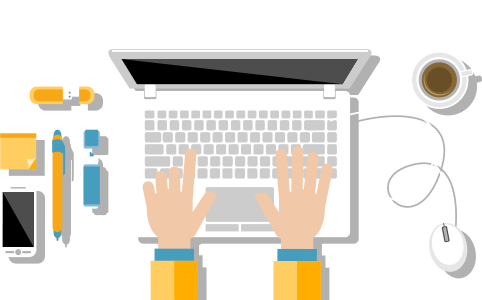 Hire the best available experts in cloud to your new projects. Use Skillsmill. The human resources profesionals' compose tool. Long text messages are boring, time-consuming and way too ordinary. Telling someone that he or she is in your heart should merely require a quick, simple click. One Love is a new, mesmerizing way to express love. Tell your sweetheart: "YOU ARE THE ONE". The heart is a symbol of love and everyone knows it. Simply send a heart via your phone and let your love know they are the one. Minutes is a cloud based smart meeting App. Minutes generates cloud reports for management, meeting minutes for employees, and provides social app for attendees. All minutes can be exported in PDF. Is a unique idea lingering in your mind? Let FLEMIO be your partner while pursuing it. Flemio is a Startup & Business Accelerator focused mainly on IT startup ideas. Flemio can deliver high-end outcomes. The Flemio team and partners have many years’ experience in international corporate business. We have a huge passion for innovative startup projects. This passion defined Flemio’s concept which has been tested on multiple projects. "Helping talented idea makers to change into CEOs of their own businesses is my dream job." Head of Flemio, Startup mentor, business consultant and Startup ecosystem researcher embodied in one person. Monika came on board as a student with team management experience. Startups became her passion and she decided to stay and build Flemio together. She had been mainly a Startup business consultant for two years. Monika finished PhD studies in Strategic Management and Finance. She had been analyzing the business models of accelerators in her research. She grabbed the chance of being a head of Flemio and transform her results into practice. Flemio acceleration is based on her research and experience. She continues in teaching to be in touch with students and get them know about venture capital and Startups. 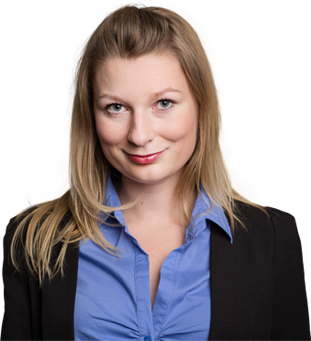 Besides of Startups Monika has experience and knowledge in corporate finance. Accelerator needs a soul which will build Startup ecosystem, what is the duty what she carries on. Monika deals with all Startups as a business consultant and manages Startup teams to reach the milestones. She will meet prospective applicants in Startup conferences as well. As a managing partner, she will assist Startups in negotiations with future investors and help them to identify new grant or investment opportunities. "We are crazy enough to believe we can change the world into a better place to be." 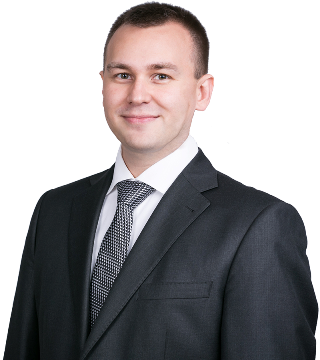 Michal has a professional experience in software delivery, business and research consulting and small business development. Last 15 years Michal has been participating in dozens of software projects. Among others € 50 mil innovative National eHealth project of Slovak republic. He works with Startups as well as with commercial and research entities. Lately, he has been responsible for innovations in smart-cities industry in project with budget € 40+ mil. As a software engineer, he took a role of solution architect on multiple projects, focused on digitalisation of municipalities and was responsible for development of security software solutions based on digital signature with NATO certifications as well. He directly participated on several own businesses. Software House Talenta delivering experienced professionals in top projects in CEE, Visual effects studio BlueFaces with dozens of awards and nominations, as well as Balkan nutritionally supplement company Carnomed delivering hi-quality products worldwide to help people suffering from autism. Michal is a passionate mentor in Startups. He is often the one, who brings the hi-tech innovation to products. He works with Startups as a Strategic business consultant, innovation advisor and technology supervisor. "When mind is weak, situation is a problem. When mind is strong, almost any situation becomes an opportunity." Peter is a technology guru and an experienced entrepreneur. He graduated from the Faculty of Electronics and Informatics at the Slovak Technical University in Bratislava. He has more than 10 years of professional experience in software architecture and information security and 12 years’ experience in personal security and incident management. Peter is one of Flemio’s co-founders as well as security consultant providing security advisory for all Flemio startups. He is a passionate martial arts fighter. He fights as much for security as he fights in the gym. He is a fast thinker with perspective and that makes him a valuable part of the team as he is always able to put everything in a nutshell. "We want to be a place where passion, talent, hard work and a bit of luck can change great ideas into amazing outcomes." While chasing the American dream, Marek discovered his passion for vfx and startups. One of the co-founders of the post-production studio BLUE FACES, Marek graduated from the Faculty of Electrotechnics and Informatics at the Slovak Technical University in Bratislava, major in Cybernetics. His long-time interest in visual effects kept him awake during his university days. But it was worth it. Marek is among the top vfx artists in Slovakia. He manages a visual effects studio with worldwide clients, supervises young talents and creates stunning images that people admire on-screen every day. Marek is a tutor for young talented students at the Academy of Performing Arts in Bratislava, where he is also a PhD candidate. His warm personality, soft skills and excellent knowledge of vfx keep things moving and create the unexpected. Flemio wants to find people like Alexander Fleming. We will do our best as your startup partner. 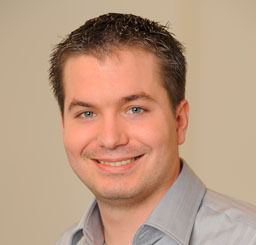 Stefan Köppl is working for the Investment Team of tecnet, an Austrian based VC. He is an entrepreneur who turned into VC selling his company in 2015. Stefan is also a Co-Founder of Indiecampers which is nowadays the market leader in the pertinent segment in Europe. As a member of the Advisory Board, Stefan enjoys working with fresh minds and helping their ideas to grow. He is especially keen on to help startups finding appropriate investors and strategic partners. If he is not strengthening startups he is most probably surfing the waves in Portugal. 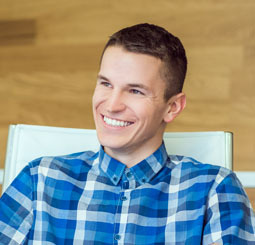 Milan Mitošinka is an expert and consultant in mobile technologies, portable electronics and IoT. Milan´s aim is to use these technologies for permanent software innovations. He encourages a great potential in enriching of commercial products concerning software and hardware. Milan is responsible for the mobile development division and IoT innovative lab in Cleverlance. He constantly works on innovations for companies such as Deutsche Telekom, Dôvera ZP, Komerčná Banka, Škoda, etc. Moreover he is looking for startups fitting in Cleverlance Group portfolio. 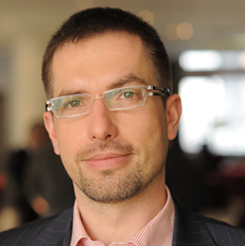 Peter Helesic, MBA is the Business Consultant and partner in Danube Angels. 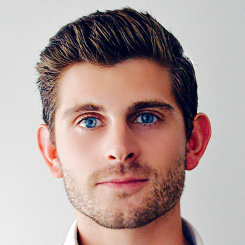 Peter is experienced Team Leader in international marketing and sales departments ((e.g. in the paper industry). He has been working as the independent Business Consultant since 2010 with the focus on the strategic advisory for hidden champions and start-ups in CEE region. He lends a hand in expansion to Austria and Western European markets. Peter is ex- professional athlete and hockey player. Moreover he is a skilful linguist speaking 5 languages. 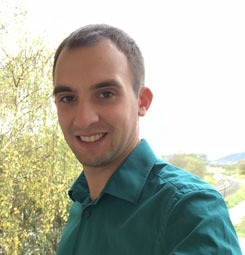 Sebastian Goldfuß is Project Consultant in Danube Angels. 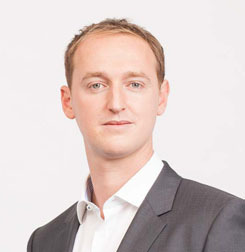 Pavel Jiránek works as an analyst at Credo. His main responsibility is to manage deal flow as well as to provide support to portfolio companies. 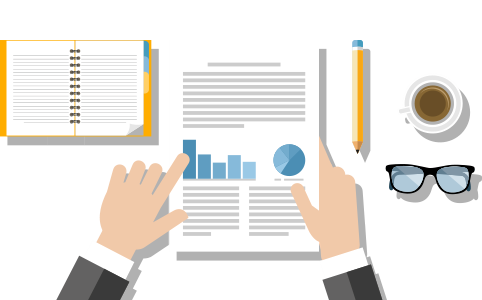 The main fields of interest are business development and finance. 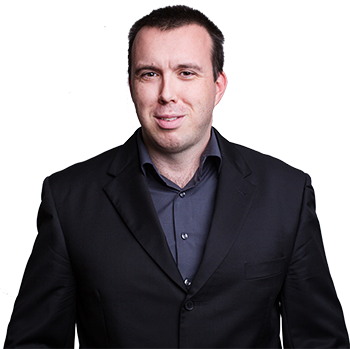 Petr Palan is an executive and entrepreneur with international track record from own ventures as well as Fortune 500 corporations. Successfully started and ran businesses in different countries and continents; US, UK, Austria, Spain, BG, MK, RO, UA, RU, CZ. Petr´s areas of expertise are building companies & teams, entering new markets; innovative business models, creative revenue streams. His Industry expertise is software development, technology services, SaaS, Digital Publishing, Energy & Utilities, Discrete Manufacturing, Teleco, Healthcare & Pharma. Florian Ubelacker is currently CCO at primeCROWD. 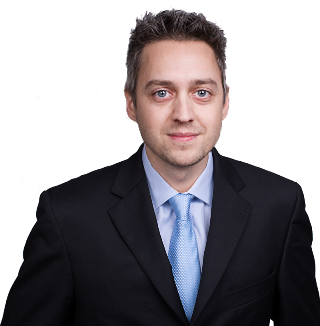 Florian is responsible for the commercial strategy and development, Partnerships & international expansion. He is a mentor at the Impact Hub Vienna and also individually coaching & mentoring startups. Florian was heading the EMEA Tech, Media & Telecom Research and the due diligence in London. 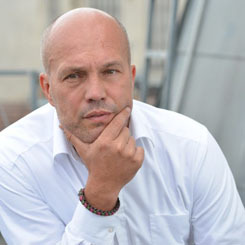 Markus Kainz is an Austrian Serial Entrepreneur, keynote speaker and opinion leader. He is currently the Founder and CEO of primeCROWD. 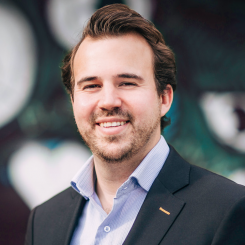 Markus is also an Ambassador & startup Coach for StartUp Leitner Accelerator (SLAX), a Coach and Mentor at the Impact Hub Vienna, Jury Member & Coach for AWS and a lecturer at the University of Economics in Vienna. He is also a Co-Founder of the Austria's largest corporate ticketing platform.